One of the rights accorded to the owner of a copyright is the exclusive right to reproduce or to authorize others to reproduce the work in copies. In general, the owner of a copyright can restrict the reproduction and distribution of the copyrighted work by anyone else. Nonetheless, people routinely use copyrighted works without the consent of the author. For example, we have all seen the political advertisements where one candidate running for political office uses some portion of his or her opponent’s advertisement as part of a new political advertisement. How is it that such a use does not constitute copyright infringement? • The effect of the use upon the potential market for, or value of, the copyrighted work. Given the nature of these factors, fair use must be reviewed on a case by case basis, and the distinction between fair use and infringement may be unclear and not easily defined. There is no specific number of words, lines, or notes that may safely be taken without permission. One court’s fair use is another’s infringement. By itself, acknowledging the source of the copyrighted material does not substitute for the protection of obtaining permission. Though fair use must be reviewed on a case by case basis, certain uses are more routinely considered fair uses than other uses. With regard to the purpose and character of the use, educational, nonprofit, and research use is generally favored over profit-generating use of a copyrighted work. Thus, a teacher showing a portion of a movie in a classroom will have a much better fair use defense than a local tavern owner showing that same movie in the tavern. When looking at the nature of the copyrighted work, works that are factual and published lend themselves to fair use better than creative unpublished works. For example, using small portions of an author’s unpublished diary as part of an informative biography has been held to be a fair use. Extensive verbatim use of the text from the Harry Potter books to compile an unlicensed Harry Potter Encyclopedia was found not to be a fair use. This also shows how courts factor the amount and substantiality of the portion used in relation to the work as a whole. Finally, when considering the effect on the potential market for the copyrighted work, courts examine whether the copyright owner is deprived of income or even a potential market for income. For example, in one case an artist used a copyrighted photograph without permission and created wood sculptures by copying the elements of the photo. The artist earned several hundred thousand dollars selling the sculptures. When the photographer sued, the artist claimed his sculptures were a fair use because the photographer would never have considered making sculptures. The court sided with the photographer, stating that it did not matter whether the photographer had considered making sculptures; what mattered was that a potential market for sculptures of the photograph existed. The political advertisement issue raised in the beginning of this article illustrates the importance of understanding the legal issues that help determine, and flow from, business decisions. In the New Hampshire case of Keep Thomson Governor Committee v. Citizens for Gallen Committee, the political committee supporting incumbent Governor Thomson had purchased, for the sum of $12,000, all right, title, and interest in and to the copyrighted song “Live Free or Die,” which was, and still is, the state motto of New Hampshire. Naturally, the song was then used in a campaign advertisement to support Governor Thomson’s re-election. The Citizens for Gallen got a copy of the song and used 15 seconds of it in their own advertisement, which criticized Governor Thomson’s candidacy at length. The plaintiff sued, claiming that the defendant’s political advertisement deprived the plaintiff of the full use of a vital campaign tool for which it had paid handsomely. The Court upheld the Citizens for Gallen’s fair use defense, explaining that the four factors balanced in favor of the defendant, and that the noncommercial, political debate engaged in by the Citizens for Gallen was fundamentally protected by the First Amendment. Later that year, Gallen defeated Thomson’s bid for re-election. The difficulty in claiming fair use is that there is no way to guarantee what use will qualify as fair – consider that the plaintiff spent $12,000 on a song and additional funds on legal fees, only to lose the case and the election. Perhaps you are considering whether to use a new form or medium of advertising. Maybe you are considering using a picture you really like to promote your business. Maybe you have an original story that has never been told, until you wrote it down recently. On the other end of the spectrum, you might have discovered that a competitor is using some of your work (e.g., a photo, a letter, a song, a video clip, a poster, or a web “thumbnail”) in an effort to profit at your expense. It is possible that what you consider “honest but tough” competition is actually an infringement upon your legal rights. 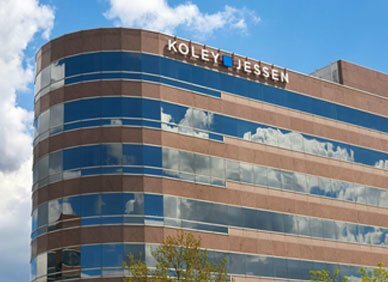 Whether your question or issue involves the potential application of the fair use defense or copyright infringement, the Koley Jessen Intellectual Property group is well equipped to help you address the important legal issues affecting your business and other decisions.